It’s all about simplicity, and it is something audiophiles tend to forget. It seems the machinery of industry always wants to push a new feature, another aspect of operational complexity. Our cars are becoming technologically laden, far more so than computers of ten years ago. Phones are ubiquitous with the continual addition of functionality. Bluetooth invisibly conjoins mobile audio devices. Our homes are becoming “smart,” our children questionably so. Why, then, shouldn’t our components and systems for the home two-channel system also become more complex? 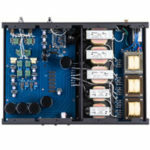 Some have, and a prime example is the previously reviewed Benchmark AHB2 Amplifier that has so much going on technologically that it takes a hefty Owner’s Manual to explain it all. In that review, I spent time comparing the straightforward operation of the amplifier under review here, the Power Modules Inc. Aria Monoblock, to the AHB2. While there is no shortage of configuration flexibility with the Benchmark Amp and it utilizes the new Class AAA operation developed jointly with George Lucas’s THX, it did not show itself superior in performance to the Aria when the latter was set up well. Aforementioned simplicity principle notwithstanding, there seems a movement away from simplicity toward preamps, DACs, Integrated and even power amps festooned with functionality – all requiring longer signal paths. By the time the average audiophile constructs his system the signal has to be pushed through a maze of circuits. Thankfully, there are still purists around, those who like less in the signal path. One of them is Dave Belles of Power Modules Inc. in Pittsford, NY, who has been making high quality, no gimmick audiophile pre and power products for decades. Dave does not subscribe to the school of component design wherein the front panel is festooned with features that would be used seldom, if at all. The internals are arranged by necessary function, according to old school classic design. The secret sauce of the amp is the power supply. Dave tunes the power supplies in his amps for maximal musicality of the amplifier. I am not at liberty to discuss the particulars, but please trust me when I say that the power supply of an amp is a make or break element. Even upgraded outboard power supplies yield an easily discernible benefit to sources and DACs. A robust power supply and minimalist layout make the Aria a very desirable amplifier from a design perspective, and the quality shows in the sound it produces. Recently I had an opportunity to compare some high-minded, high bit rate and up-converting high-clock-frequency DACs to a simpler design, the BorderPatrol DAC SE (USB + SPDIF). This unobtrusive, well-built, streamlined NOS (Non Oversampling) DAC is the epitome of minimalist circuit design – if one can call a DAC’s topology minimalist. The simplicity is found in two essential areas encompassing two objectives, namely signal treatment and build. Rather than up convert the signal, which requires the application of algorithms, the signal is kept native at 16 bit/44.1 kHz. This allows for a simpler build eschewing devices such as opamps in the signal path. Consequently, the output of the BP DAC SE is directly from the DAC chip, which results in quite an improvement in cleanness and vibrancy over the up-converting DACs I have used. On a thread at Audiogon.com the question was asked: what kind of car would your system be? I responded instinctively, the Ariel Atom, and in some iterations the V8 Nomad version. No prissy features, no sluggishness, just pure performance. The stripped down Ariel is a supercar that normal mortals can afford (well, at least some normal mortals). It is all about the simplest design that can accomplish the feat of extreme track or, in the case of the Nomad, off road driving. My idea of extreme audiophile sound is not to put up a rig that lulls my ears. I’m not interested in very warm sound, sound that is “rounded” by the elimination of some definition. I want to hear everything, but in no way do I wish to hear it harshly. Continuing with the Nomad V8 illustration, I want to go off road at high speed, but to have such a capable vehicle that I don’t get shattered in the process of doing so. Similarly, I want a rig that is able to handle anything musically, and I do mean anything, even the ugliest, most tortuous music that demands extreme equipment to produce cleanly, yet without a hint of stridency or roughness not inherent to the recording. Does that sound like an impossible request? Honestly, it is for all but a few systems. There are very, very few rigs at shows or in homes that can do so, perhaps 10% of all extant systems. I have been putting up hundreds of systems for more than 12 years and most of them can’t be said to have unlimited performance with perfect manners. If I can’t do so easily after assembling dozens of systems at the $50k-$100k mark, neither can you. One thing is for sure, you will not be moving toward the most extreme performance rapidly by stuffing the signal path. It takes herculean efforts to recapture what is lost through plying the signal with additional processing and/or extra electronic components. Why we do this to ourselves is a testament to wishful thinking that the more complex something is, the better it must be. It’s simply not so in most cases. For instance, my fancy refrigerator with water and ice dispenser went rogue one night when a plastic part in the dispenser failed, and it flooded not only our kitchen but also a portion of the downstairs, taking out some of the ceiling and flooring of the basement. The listening room was completely unaffected. That was the last time those fancy features will ever be used; they were disconnected. It has now become a very reliable refrigerator that makes ice cubes in trays and keeps food in a climate-controlled environment. Simpler, better. In the same way, consistently I can make an audio system sound superior by removing the preamp from the chain. … with theoretically no ripple or so I absolutely agree in the importance of the power supply. It is the amplifier since the current that is output from an amplifier is directly from the power supply. The circuits that we think of as an amplifier are really just modulators of the current from the power supply. But I do not understand tuning a power supply for musicality (nor do I understand the phrase maximum musicality). The goal of a power supply is basically simple and straight forward. It needs to supply the current and voltage demanded by the modulating circuit. This current should be as close to Direct Current as possible with theoretically no contamination at all. This is measurable. I don’t understand musicality in regards to this at all. If I’m missing something I sincerely would appreciate more explanation. I have been at this for over 40 years. It was one of the early things I learned that the power supply does affect the sound. You are correct on the basics. These are text book truths. When you manufacture a product that the public will buy you must be able to reproduce a good musical experience. My results over the years has proven that. I do not have the chops to discuss an answer in terms of theory, but in experience there has never been a component I have used that has not benefitted from an upgraded power supply. Dave Belles is doing upgrades/tuning when he works with his power supplies, and I for one appreciate it immensely! Dave is not going to divulge his secrets; I know, as I asked about what he did with the power supply and the information is off limits. I recommend that if you wish to consider what can be done with a power supply, you procure a couple of decent aftermarket 15A IEC power cables and swap them for the stock ones on components. Theoretically there should be no difference, but in practice there is a significant difference. That should be enough to demonstrate to you that aspects of design which don’t reveal sonic changes that are measurable can indeed influence the sound. When it comes to the quality of an audio system there is a big difference between building to spec and building to achieve excellence. Just a closing comment to make my position clear on power supplies. I think they are uber important. 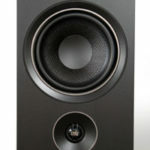 They are a very expensive part o an amp that can be cheated on with little or no affect on the classic specs of an amp. Most, if not all power supplies, are under designed on almost all amps. And yet they will have a significant affect on reproduction. I do believe in bigger and better. But I still can’t comprehend how a supply large enough to maintain voltage and current under all conditions can affect the musicality(a word I hate since it means so many different things to many people) of an amplifier. And yes I do believe that parts such as wires and feet can have Significant affects on sound even though they do not enter into an EE’s understanding of electrical design. Thank you for the follow up note. I think this is a, “Join the club,” situation, as from what I have heard again and again from manufacturers of cables to components to speakers is that even they do not know all the explanations for why audible changes occur in seemingly inconsequential adjustments to circuits and materials. The idea that a designer understands why every aspect of his/her design is a misnomer. Some designers/manufacturers try to maintain a silence on such subjects in an effort to avoid controversy, or to project the image that they are cooly in control of all such variables. But, that is not the reality behind the scenes. Off the record several of them have admitted to stumbling into discoveries, and or not fully comprehending why their design works so well. 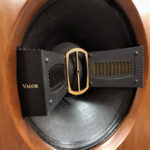 I am not saying that of David Belles specifically, but of designers/manufacturers in HiFi as a group. I was not able to conduct a direct comparison between these two amps, but I would place both of these products very close together in terms of tonal beauty and definition. 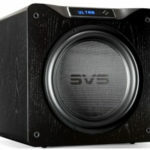 They both are the kind of product that would accommodate a wide variety of speakers and systems allowing sound that would not be considered harsh or sterile. From your review is it safe to assume the Aria monos are just as full and rich as VanAlstine amps but with more detail and dynamics? Thanks! I cannot answer your question definitively, but only relatively. The amp I reviewed for Van Alstine was a previous generation, I believe. Consequently, I would say, yes, your description of the Belles ARIA compared to the Van Alstine is correct. However I have not compared the newer AVA gear to the ARIA components. Is Maestro Belles really planning to retire soon? Just wondering since he’s now unveiling a new big product, the Virtuoso integrated amplifier…Just wondering….